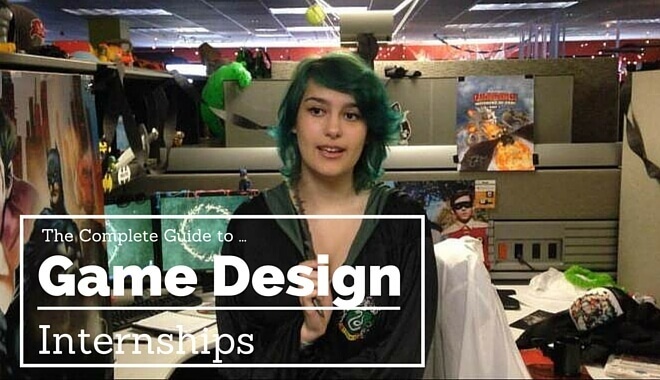 What are Game Design Internships? Game design internships are not only a way to learn new skills and get a taste of the career you might want, they also serve as valuable career tools to help you get your first job when you graduate from your game design program. Most internships last over the course of a summer break, but some can last up to a year if you choose to take time away from your studies to complete them. Some are paid whereas others are not, so it’s important to double-check the terms of the internship before taking it. Most interns will start by learning about the company and their projects, as well as the technologies the company uses to deliver their games, before beginning work on facets of a project for release. Again, the amount of work that you contribute will depend on both the size of the company and your relative skill level, but most interns will find their names on the credits of the game once it gets to release! Some interns may even find they are offered a permanent position at the end of their college degree or other education. Like it was mentioned earlier, game design internships offer a valuable tool for securing careers in the industry. Not only do they show initiative and keen interest, they also show that you have a variety of usable skills in various different areas of game design. You will find that knowledge invaluable when it comes to securing a job in the industry. The games industry is becoming more competitive, so any edge you have over other job candidates will help. If you make your internship relevant to the area of game design you want to go into, then you’ll be even more likely to secure a role post-graduation. Taking on an internship in the games industry shows initiative and drive, something that’s very important for securing top positions, and will demonstrate that you have usable industry skill (which complements your education, which will prove technical and theoretical skill). A game design internship is a real must for anyone wanting to secure the top positions in this ever-competitive field of employment. There are many pros to getting a game design internship, as detailed above, but what about the cons? Are there any? Well, we’ll discuss both in a little more detail now. Most, if not all, of the cons of having a game design internship under your belt can be alleviated by making sure your internship is right for you before you accept the position. So it’s important to follow the checklist below, as well as applying your own metrics, to make sure that the internship is what you expect it to be. Does the internship offer opportunity for future employment with the company? Is the internship paid? If not, are expenses covered? What would you likely be working on while at the internship? Is the company fiscally stable enough to support an intern? These might seem like secondary concerns in comparison to securing the internship itself, but it’s important for you to be sure the job is right for you before accepting. There’s no point working hard to get an internship, only to find that you cannot afford to take it because they don’t pay! You can secure an internship in much the same way as you would secure your final job after graduation; you must do your research, accept interviews, and perform well at any tests they might expect candidates to take. Utilize your college’s connections. Talk to counsellors and department heads about how to land internships, which studios you’d be best for, and a written reference if they’re willing. Research is important when finding an internship. Many companies, especially larger ones, offer information on their internships on their website and this is where you should start. Don’t stop there – you can speak to previous interns (perhaps friends who have had internships with the company), do your research on the company’s projects, and make sure you have answers to all the tough interview questions they’re likely to throw at you. Doing your research shows you care about the position. Always accept interviews in a timely and polite fashion. Make sure you’re on-time and wear smart clothing (but you already knew that! ), and shake hands with the interviewer. Then, make sure to put your best foot forwards and really shine at interview! Some internships require candidates to take aptitude tests before they consider hiring. It is worthwhile brushing up on your English, math, and critical thinking before attending any interview or assessment centre. It may even be worthwhile learning a little coding – not only will it impress the interviewer, it will be useful too! 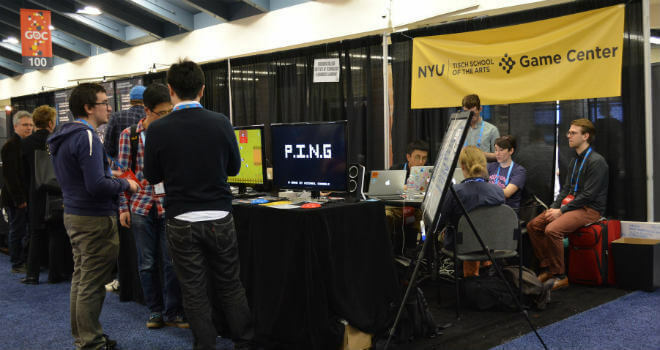 There are many opportunities for game design internships within the US. Although you may need to be prepared to travel to a city if you live somewhere remote. The US is a strong player in the global video games market, with many large studios having bases in the US. You’re bound to find something close to you, even if it’s with an indie studio, so make the most of the opportunities on your doorstep! Even if you don’t speak a foreign language, there are plenty of places which speak English and that are also big players in the video games industry, such as the UK, Canada, and Australia. There are many benefits to traveling abroad to work, including it’ll be some of the best fun you’ve ever had, just be sure to get the right kind of visa! Game design internships are invaluable, both as learning aids and career tools, so you should try your hardest to take one. You’ll learn so much more than you ever could by just studying text books, and you’ll have a whole load of fun doing it!